The effects, she feels, are not only good for herself, but also for the people around her, including her 15 year-old son, who often travels with her. – My relationships have improved. I’m much less irritable than I used to be. It’s become easier to relate to all the people and hustle-bustle around me on a big production. In addition, I have become more aware, she says. Caroline von Tuempling grew up in Germany, where she studied law for some time before entering a career as a model. After many years, she increasingly found herself behind the camera instead of posing before it. 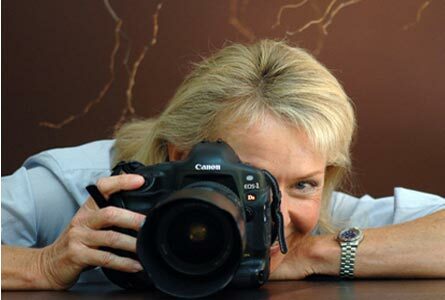 In 1981 she moved to London and has worked as a freelance photographer since, producing stockshots within lifestyle, travel, and tourism. How does she manage to include meditation in her tight schedule? – I get up half an hour earlier to get my morning meditation. If that’s impossible, I do it half an hour before lunch. I feel that people around me respect my meditation. – I’ve tried other techniques. With Acem Meditation I feel I get more quickly into the meditative stage. Anyone can do Acem Meditation, also business and creative people.